Get a troubling window into the mind of a killer, cracked and split, in the opening of director Gus Van Sant's much-derided 1998 reimagining of Psycho. 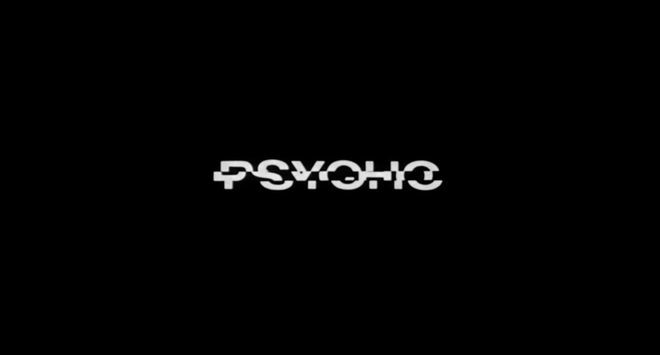 Less of a remake and more a duplicate of the original Alfred Hitchcock classic, Van Sant’s Psycho is both an experiment in form and a provocation of sorts. Other filmmakers, such as Brian De Palma and David Fincher, have built careers on emulating or paying homage to Hitch, but Van Sant was the first director to so blatantly – and purposefully – copy the master filmmaker note for note. When asked why he would even attempt to remake Psycho, Van Sant simply replied “So no one else would have to.” In an era when remakes feel increasingly inevitable, that sort of pragmatism is almost admirable. The cast and crew of Van Sant’s Psycho may be completely different, but the movie remains Hitchcock’s film to its core. Shot for shot, angle by angle, the film matches nearly every element of the original, right down to the iconic Bernard Herrmann score and Saul Bass-designed opening title sequence. The latter, executed by Pablo Ferro – a contemporary of Bass and title design legend in his own right – was meticulously recreated under the watchful eye of title designer Elaine Bass, Saul’s wife and collaborator of more than 40 years. Elaine retired from the business after Saul’s passing in 1996, but returned in 1998 to ensure that one of her husband’s most revered works would be protected and preserved. 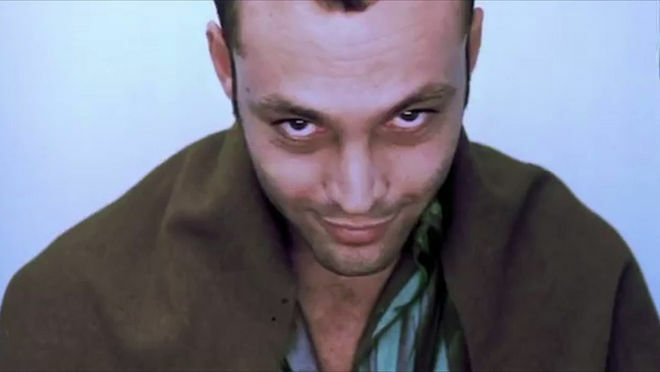 Ferro, who had worked with Van Sant previously on films like To Die For and Good Will Hunting, was hired for Psycho in part because of the mutual respect that existed between he and Bass. The two were frequent competitors in the worlds of advertising and film and both had worked closely with director Stanley Kubrick. The Psycho title sequence is an exercise in tension and contrast, made all the more potent by Hermann’s frenzied main title theme. 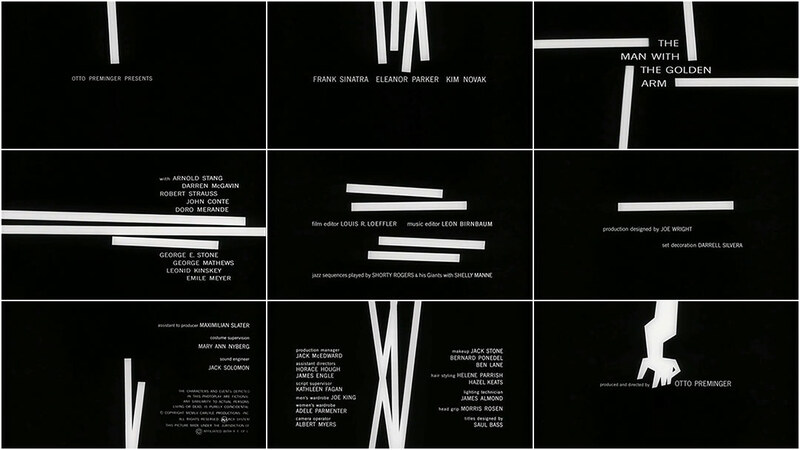 Simple lines charge across the screen in parallel, delivering pieces of type, forming credits in time to the score, and then carrying them away again in pieces. Bass originally imagined the lines as information, clues to the unfolding mystery that never quite reveal themselves. “Put these together and now you know something. Put another set of clues together and you know something else.” Ferro’s primary contribution to the 1998 iteration (aside from fitting in all the new credits) was giving the sequence its colour. In place of the original white, the lines are filled in with a particularly bright shade of green. When viewed against the black, the green bars leave a crisscrossed afterimage, an imperceptible trail burned into one’s vision. Van Sant’s Psycho was both a critical and commercial failure, proving to be a pale imitation of Hitchcock’s original. However, while the film laid bare some of the shortcomings of the horror classic, it also demonstrated the enduring power of Bernard Herrmann’s music and Saul Bass’s title design. The Psycho opening title sequence remains as effective as when it first gripped audiences back in September 1960. If only the same could be said of the rest of the film. A discussion with Title Designers PABLO FERRO and ALLEN FERRO. Let’s talk a little bit about the Psycho remake you worked on in 1998. This was with Gus Van Sant, but it was a bit of an unusual project, right? Allen: Laura Ziskin originally brought Pablo in to do To Die For. Gus fell in love with his artistry and the way that they work together is very good. It was the director who came to us with [Psycho]. Pablo: We did To Die For with him before that. He hired us to do this. What was the first meeting like about this project? Did Van Sant tell you he just wanted to remake Saul Bass’s iconic title sequence? Pablo: Yeah! Well, he didn’t say remake – he said “Do him!” He’s going shot-for-shot, he’s imitating every shot, so I imitated everything that Saul did. I only used Saul’s stuff, I didn’t do anything to his lines. What I did was I took the black-and-white print that they had and I had a high contrast done of it. I had it all cleaned up so all you would see is the black lines going through. I took that, made a matte, and did exactly what he did. What about the colour? The original film was in black and white. Pablo: Since Psycho was in colour we thought, “What colour can we do? What colour? We can’t do a horror colour!” I shot all kinds of different colours and green worked the best. Cool! So there are other versions of the sequence that have different colours? Allen: Primary colours, red, blue, green. I don’t remember any other choices considered during that time. It was set for exposure and density tests – the final was picked by Pablo. Did you encounter any other issues while working on this? Pablo: In the old days they held the actor’s credits longer on the screen. That saved us because Gus added more actors! I had to put more actors in the same space. Luckily enough there was just enough time to do it. Psycho (1960) and Psycho (1998) side-by-side title sequence comparisons. Pablo: That’s what I mean, I didn’t touch a hair of it. I didn’t change any of his bars, I just used it, repeated it here and there, but that’s the only change I made. We all loved the black and white. It was just a treat to see! It was already done, so this was almost like a sideshow at the circus. Pablo: And Elaine. She worked with me. Allen: Yeah, it was really out of deep respect and love for that work. It only made sense to take that direction. And what was it like working with Elaine Bass? Pablo: Very easy. Good people. It’s work – you have to spend so many hours doing it – but it’s easy hours. It was a pleasure to work with her. She’s a very pleasant person. As we would say in the ‘60s: good vibes! Allen: She felt comfortable with your presence on the project. I think that was Gus’s intention. Saul’s passing was still fresh for her and Jennifer [Bass]. She was very comfortable with your presence, especially in terms of it being an homage. It is also contemporary, in terms of Pablo’s involvement, so it was an interesting dynamic when you look at it with the movie being remade that way. Saul and Elaine were collaborators for nearly 40 years, but Elaine doesn’t get nearly as much credit as Saul does. Why do you think that is? Allen: The funny thing about being someone’s right hand or being a creative muse, is that you get really close with the creative. You get to learn what they want, you get to anticipate the types of directions they want. And Elaine was that – every bit as much as I am to my father. Elaine knew Saul better than anyone else did. She got credit for the work she did. She was possibly overlooked for a little bit of it, but I think she knows – and the majority of us who do this work and appreciate this work – appreciate her input with Saul. 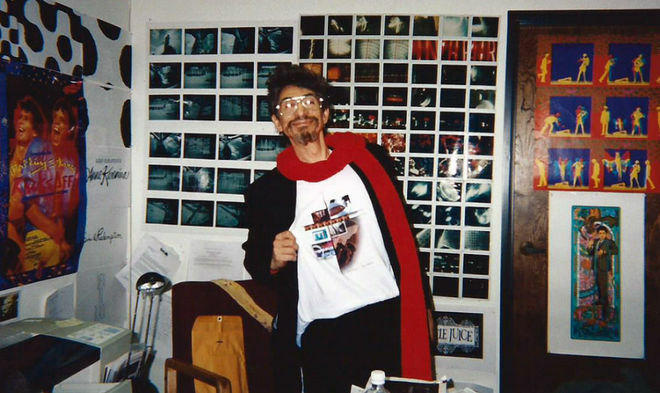 He had an army of people working with him and it was a collaborative effort, but nonetheless Saul being the creative head and Elaine being with him at the time and doing the work, she was definitely up there. 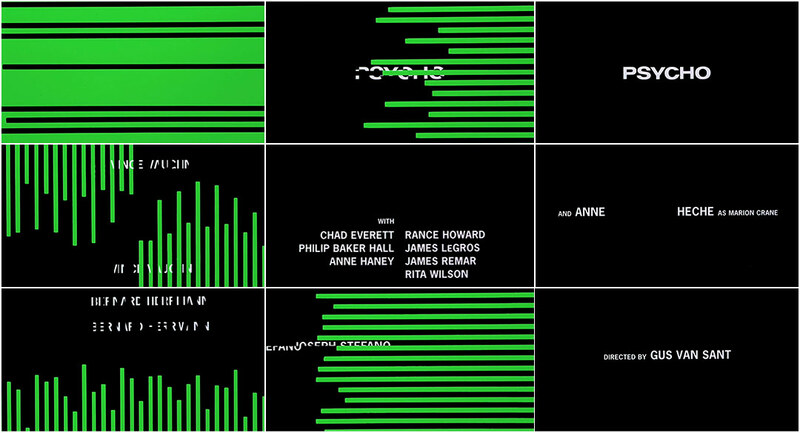 Do you have a favourite title sequence by Saul or Elaine Bass? Pablo: The Man with the Golden Arm. Saul Bass. When I saw that I couldn't believe it. He's got a simple drawing and it's so powerful. I said, "Wow, that's a beauty." Allen: My father drummed that into my head early on too, but I know that it's the same for him. 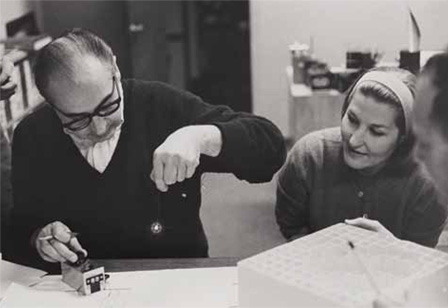 We really admire Saul Bass and Maurice Binder. We wish they were around today but they truly are amazing visionaries. Allen: You have to look at what you're doing with a project and you have to really understand that there are two modes of operation in working on any given project creatively: Number one it’s that you've got a committee or a group of people that wants something accomplished and then the other people who just have this visceral understanding of what the reality is, what makes it work. Pablo: I'd like to tell you something about Saul Bass because I had the same problem he did. Hitchcock never mentioned that Bass did the storyboards and shot all the angles that were shot [for the Psycho shower scene]. Saul shot those with another girl first before Janet Leigh… Elaine Bass told me when we were working together, she was criticizing [Hitchcock] and telling me what he did. I said, “I had the same problem on Midnight Cowboy, on the bedroom sequence.” I did the whole sequence. Allen: But he's getting the design sequence credit now. It’s in his book that Jennifer Bass put out. Pablo: I'm glad to hear that. So what do you think Saul would have thought of this homage done by you and Elaine? Pablo: He’d probably just laugh.